The life of a publisher is one of constant multi-tasking. One second you are brainstorming ideas for interesting content, and the other you are improving SEO and page load time. The name of the game is productivity; and the way to achieve this is through easy to use apps, plugins and sites that can help any publisher save time and money hacking his way to success. That’s why we here at Infolinks want to help all of our 125K partnering publishers save valuable time and become more productive and successful publishers. How do you ask? by providing you with these 10 awesome free blogging hacks to help create and improve content, design, SEO, social/email and BI (business inelegance). Marketing automation giants Hubspot offer several super useful free tools for bloggers and publishers. 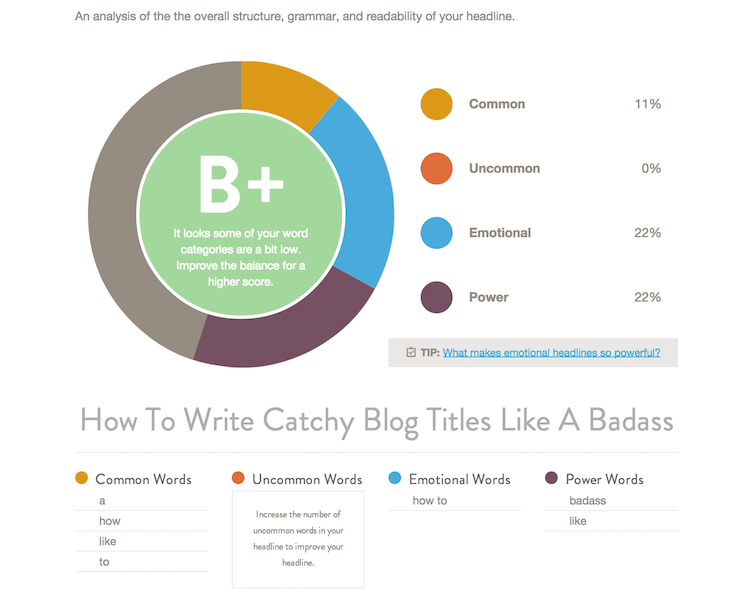 One of the coolest and most easy to use tools is their automatic blog topic generator. With the HubSpot tool, you can enter three keywords and get five title ideas for content. Once you know what you want your next post to be about, it’s time to choose the right headline that will make people click. CoSchedule’s free headline analyzer was built after the company analyzed more than 1 billion post headlines to build an easy to use grader that rates headlines according to word count and balance, headline type and keywords sentiment. Any blogger or publisher knows how frustrating and time consuming it can be to find images to go along with your posts. With ‘Death to the Stock Photo’, every month you will receive an email with links to a new collection of free, high-res lifestyle photos. The site offers a premium subscription as well to be able to access and search its full archive. In the past, you would need expensive image editing software to make eye-catching graphics for your blog. 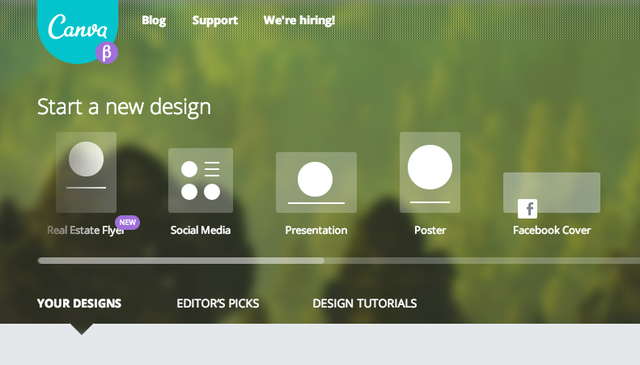 Canva, offers a library of pre-made drag and drop templates and assets that you can manipulate while also adding your own imagery. This makes it easy for anyone to make images for your blog posts, social media graphics, presentations, and Infographics. Rated the #1 SEO WordPress plugin, Yoast can help you fine-tune your idea and post into a specific keyword or phrase as well as give a step-by-step guide of what you need to do to improve your post’s SEO. This is done by giving you a color grade for each parameter, with your overall goal to turn all of the different categories into green. Founded by online marketing guru Neil Patel (of KissMetrics), this easy to use tool analysis your (and any three competitors you choose) site’s SEO, social and site speed score. This in-depth tool gives you specific basic and advanced recommendations to improve your score, as well as best practices of your competitors for you to learn, and implement. MailChimp is one of the biggest and best (and free) ways to send email to your list of contacts. You can set up automated campaigns that deliver each new post that you write, or you can create campaigns from scratch. MailChimp offers free accounts for those with fewer than 2,000 contacts in their list and more than reasonable plans for advanced users. 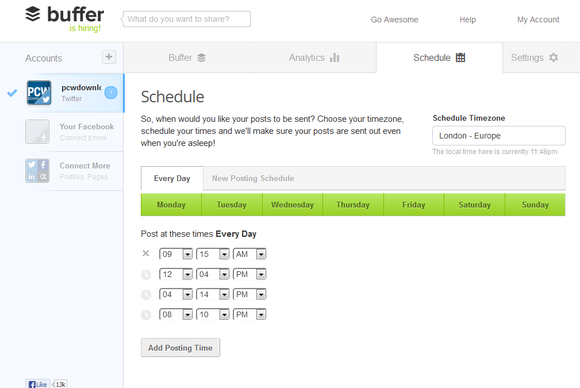 Once you have finished writing and publishing your blog post, Buffer helps you set up an easy sharing schedule. With Buffer, you can schedule your new article to go to your social channels multiple times with different headlines or images attached to each update so you can always A/B test your copy, time of posting and image selection. Another great free tool from Hubspot, the marketing grader sends you (via email) a custom report about how your website’s social media activity, mobile responsiveness, blogging activity, email marketing, lead nurturing, and analytics. Marketing Grader also outlines what particular steps you need to take in order to improve your site. 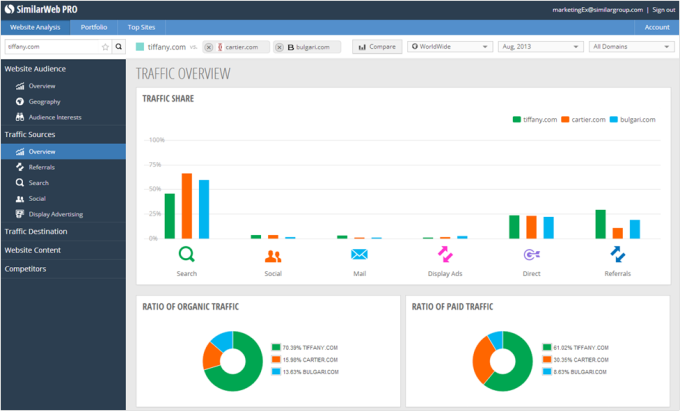 Maybe the most advanced free BI tool on the web, Similar Web provides traffic and marketing insights for any website. The tool provides users with a quick overview of a site’s reach, ranking and user engagement. Similar Web transforms raw data into engaging and insightful website metrics, including traffic sources, organic versus paid search, social traffic, related sites, and more. Do you have any more blogging hacks to recommend? Read on to see if it’s included here in the list, and drop a note via Twitter and Facebook or just visit our website and join!